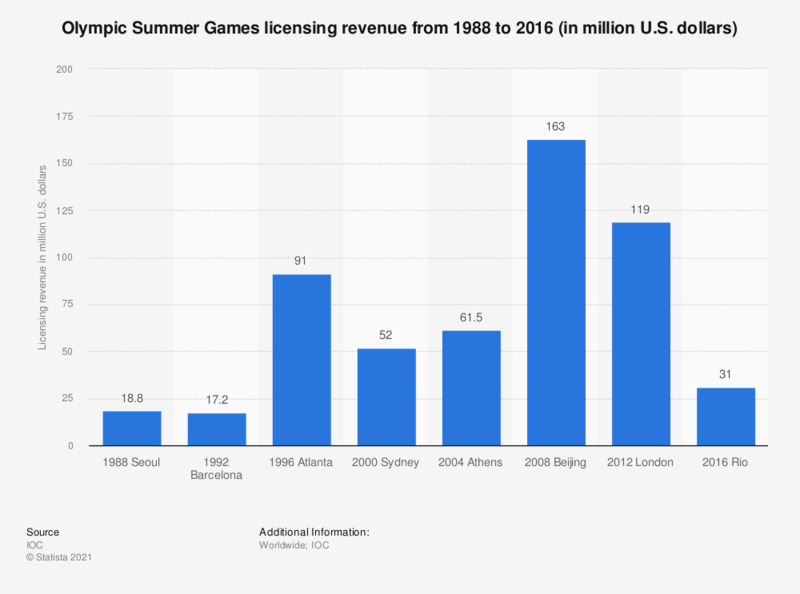 The statistic depicts the revenue from licensing at the Olympic Summer Games from 1988 to 2016. For the 2016 Olympic Summer Games in Rio de Janeiro the licensing revenue amounted to 31 million U.S. dollars. Are you very, somewhat, or a little interested in the Olympic Games? How would you rate NBC’s coverage of the London Olympics?